This 4-day workshop is designed for photographers who are midway through a body of work and are looking to continue it in the long run. Participants will not make new work during the workshop but instead the three days will be spent in exploring new directions and forms that their works could eventually take. Conversations are an important element here and everyone will be encouraged to be an equal participant. This is the first of a two-part workshop. Sohrab will work with the group from 6-9 March 2017 for the 1st part of the workshop and the participants will regroup approximately the same time next year. In the period in between everyone is expected to continue to work on their projects. The group will be notified about the exact dates of the second part approximately 3 months in advance. Sohrab Hura was born on 17th October 1981 in a small town called Chinsurah in West Bengal, India and he grew up changing his ambitions from one exciting thing to another. He started with dreams of growing up and becoming a dog, which later turned to becoming a superhero and then to a veterinarian to a herpetologist to becoming a wildlife filmmaker. Today he is a photographer, after having completed his Masters in Economics. He is currently the coordinator of the Anjali House children’s photography workshop that takes place during the Angkor Photo Festival, Cambodia every year and his home base is New Delhi, India. He is currently a Magnum nominee. – The workshop will be open to 10 participants max. – Workshop hours will be 9am – 4pm daily. – Workshop will be conducted in English. – Participants will be required to bear their own travel, accommodation, food and visa costs (if applicable). photo.circle is happy to recommend cheap accommodation options. Please email us if you have questions regarding travel to Kathmandu, etc. 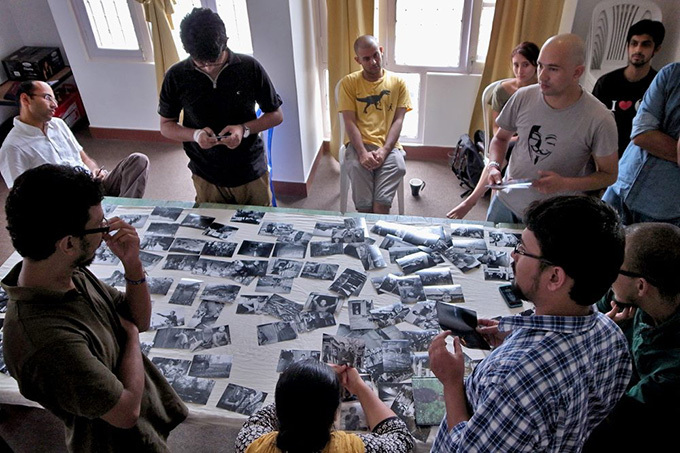 If participants are considering applying to both the Sohrab Hura Workshop as well as Photo Book 101 with Akina Books, we ask that you apply with two separate bodies of work. Photo Book 101 seeks applications from participants who have a body of work that is in its final stages. The Sohrab Hura Workshop seeks applications from participants who have a body of work that they are just starting out with. – 20 – 30 low res jpegs (1000 pixels on the longest side) from your on-going body of work that you would like to work with during this workshop. – A short introduction to the project (800 words max).